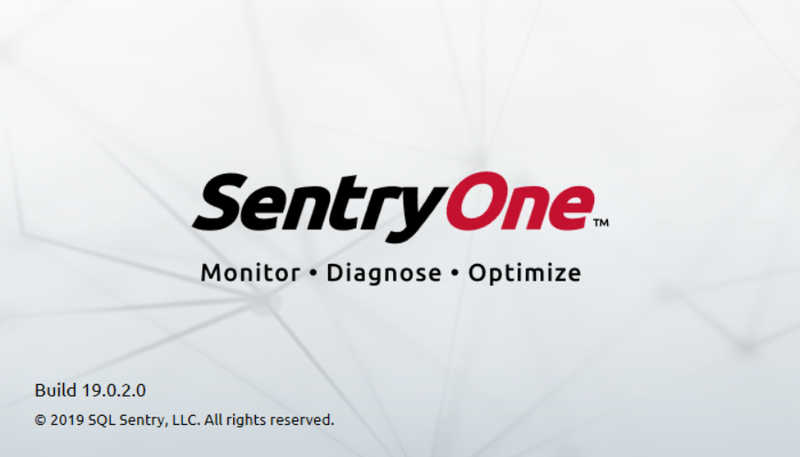 For information about the SentryOne components, see the SentryOne Components and Architecture article. The Installation Recommendations article provides details on where to install each component, as well as detailed implementation examples for installations of various sizes. Important: For performance reasons, it's not recommended that the SentryOne client, monitoring service, or SQL Server (including the instance housing the SentryOne database) run simultaneously on the same computer. Important: These are the minimum requirements for a standard 5 target installation. Review the Installation Recommendations article for detailed guidance on requirements. Note: The Microsoft .NET 4.7.1 (included in the setup package) involves a system restart. Note: Azure SQL Database isn't currently supported as a host for the SentryOne database. Note: For more information, see .NET Framework system requirements for additional details on 4.7.1 requirements. Windows server 2008 is no longer supported. Important: *Windows Server 2019 may have some issues honoring firewall rules. You may need to explicitly enable a Remote Event Log Management rule in the firewall to watch a Windows Server 2019 target. Note: When monitoring a Windows cluster with Performance Analysis for Windows, it's recommended to monitor cluster nodes individually. Storage Forecasting requires a SentryOne database on SQL Server 2016 or later with R/ML Services in-Database enabled for Advanced Disk Forecasting. There are no additional requirements for Standard Disk Forecasting. Important: For Advanced Disk Forecasting, you must turn on the external scripts enabled option in SQL Server for the instance hosting the SentryOne database. See the External Scripts Enabled server configuration option article in Microsoft Docs for instructions on setting that option. The SQL Server Launchpad service must also be running before using Advanced Disk Forecasting. See the SQL Server Launchpad service configuration article from Microsoft Docs for more information. If these were not in place, you should restart the SentryOne client after setting them and then select the Advanced Disk Forecasting mode. Deadlock tab and associated data in Performance Analysis for SQL Server is available on SQL 2005 and higher. Execution plan collection requires SQL 2005 SP2 or higher. Monitoring analysis services with Performance Analysis requires SQL Server 2005 or higher. Indexes tab and Fragmentation manager require SQL Server 2005 or higher. Monitoring the Windows event log with Performance Analysis for Windows is only supported for Windows vista or higher. Hyper-V virtualization is supported for Hyper-V v2 (included with Windows Server 2012). V Sentry requires vCenter 5.5, vCenter 6, and vCenter 6.5 to monitor VMware machines. vCenter 6.5 is only supported by SentryOne in v11.2 or higher. Monitoring Azure SQL database targets requires access to the SQL endpoint (over outbound port 1433) with the appropriate Azure SQL firewall rules created. Note: Windows Vista introduced Task scheduler 2.0. Task scheduler 2.0 is backwards compatible with Task scheduler 1.0; however, Task Scheduler 1.0 isn't forwards compatible with Task Scheduler 2.0. To watch or synchronize Task scheduler 2.0 instances, you must have a SentryOne monitoring service and SentryOne client running Windows Vista or higher. Windows 8 and Windows 2012 also introduced changes to Task scheduler. In order to watch or synchronize Windows 8 and Windows server 2012 targets, you must have a SentryOne monitoring service and SentryOne client running Windows 8 or Windows 2012. Warning: We do not support Synchronous-commit mode for the Availability Group hosting the SentryOne database in large or high latency network environments. See the Recommendations article for more information.